Al Babtain Power Telecommunication Co signed a six-month contract at a value of SAR 61.15 million ($16.31 billion) to supply solar power steel structures to Baynouna solar project in Jordan. The deal’s financial impact is set to appear in the company’s financials as of the third quarter of 2019, according to Al Babtain’s statement to the Saudi Stock Exchange (Tadawul). On Monday, 11 March, Al Babtain Power Telecommunication inked a SAR 260.66 million agreement with Spain’s Europea de Construcciones Metalicas S.A. to provide concentrated solar power (CSP) steel structures to Mohammed bin Rashid Al Maktoum Solar Park – Phase IV. The Tadawul-listed last reported a 69.3% year-on-year drop in net profits after calculating Zakat and Tax during the third quarter of 2018, logging SAR 9.2 million, from SAR 30 million. 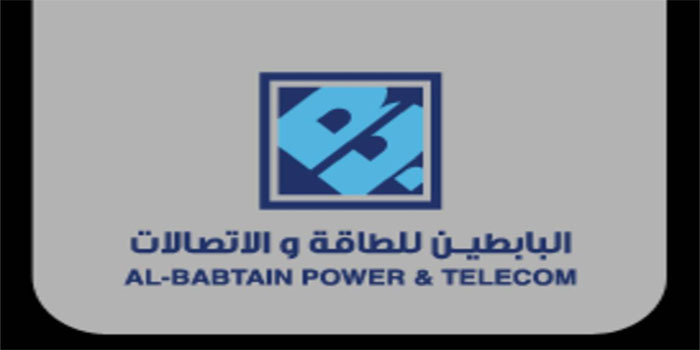 Al Babtain Power Telecommunication Co.’s stock rose 2.78% to finish Monday’s trading session at SAR 23.64.